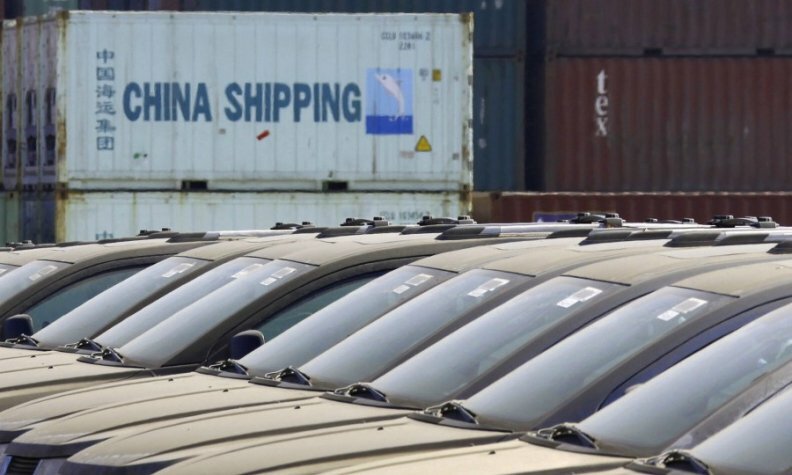 BEIJING/SHANGHAI -- Chinese vehicle imports declined 87 percent in June to 15,000 vehicles as automakers delayed shipments before tariff cuts on foreign-made vehicles took effect last month, according to an industry association. The data from the China Automobile Dealers Association, which was reported by local media on Monday, also showed that overall sales of imported vehicles during the first half of 2018 fell 22 percent to 451,971. The association published the June data last week and has yet to release July figures. In May, China said it would steeply cut import tariffs for foreign-made automobiles and car parts to 15 percent from 25 percent starting July 1. But in July, China raised tariffs on vehicles imported from the U.S. to 40 percent amid rising trade tensions with Washington. "June was the most impacted month," said Wang Cun, director of the China Automobile Dealers Association's import committee. "Many car dealers held back their import orders and decided not to import until July 1," he said. China imported 1.25 million vehicles last year, according to data from the China Association of Automobile Manufacturers. The tariff cuts announced in May prompted many automakers such as Toyota to say at the time that they would look at adjusting their retail prices in China to provide competitive offers to customers. But companies affected by the higher duties on vehicles imported from the U.S. such as BMW and Ford Motor later decided to take a profitability hit rather than raises prices fully on U.S.-produced crossovers and SUVs.